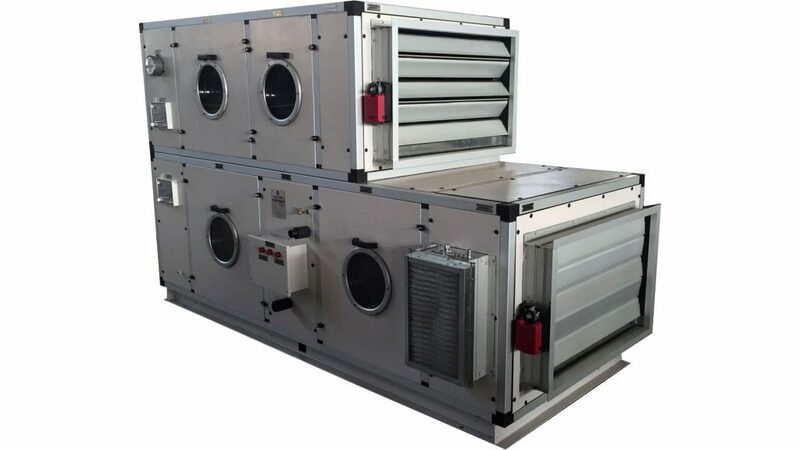 Cool Point Classic Series AHU is designed to a high engineering efficiency standards and are ideal, where the requirement of clean, hygiene air are mandatory like hospitals, pharmaceuticals, laboratories, food industry, electronic facilities and clean room applications. 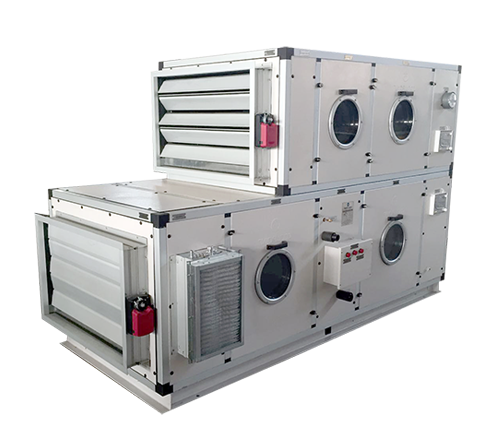 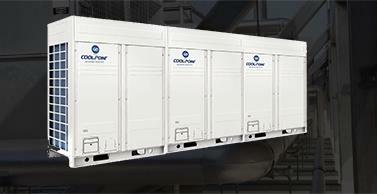 The AHU is constructed of high strength extruded aluminum to form rigid frame. 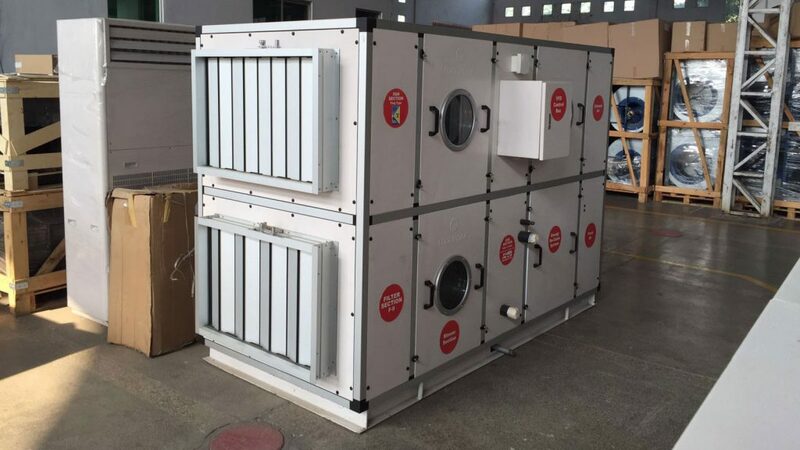 With its new thermal barrier feature which is using three leg-fiber plastic corner pieces, 25 or 50 mm polyurethane (PU) insulation panel and prevent condensation occurring. 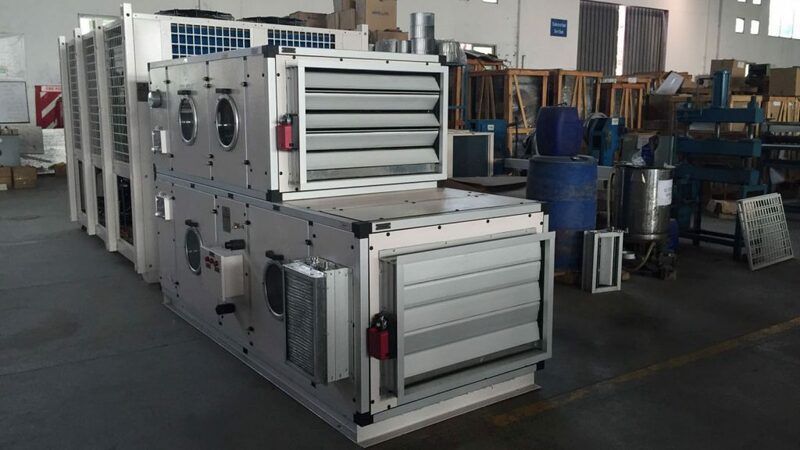 The new thermal break profile can perform better than the basic profile in terms of providing better insulation and energy saving. 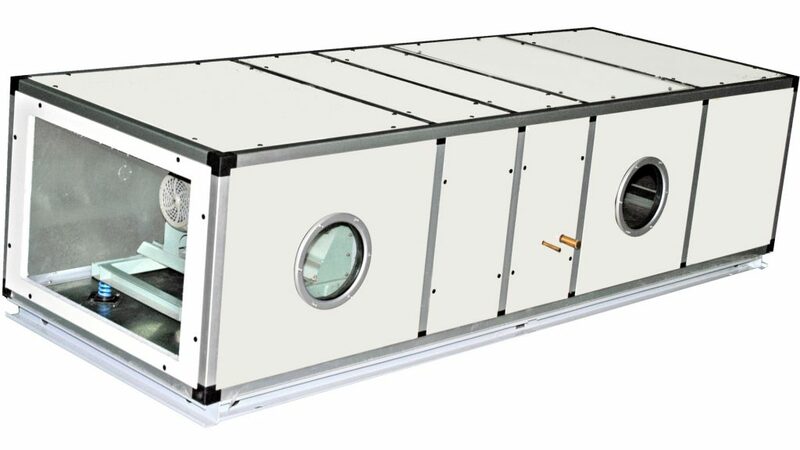 AHU, to optimize the best arrangement and performance for either chilled water system or DX system applications. 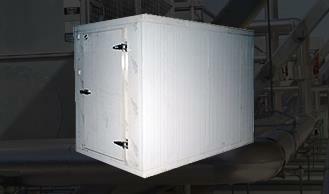 Standard components can be selected and placed according to customer requirement. 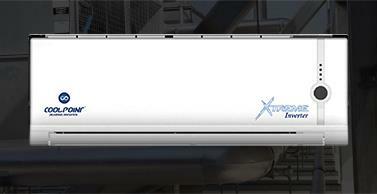 Once the unit is dened, optional items and accessories can be selected. 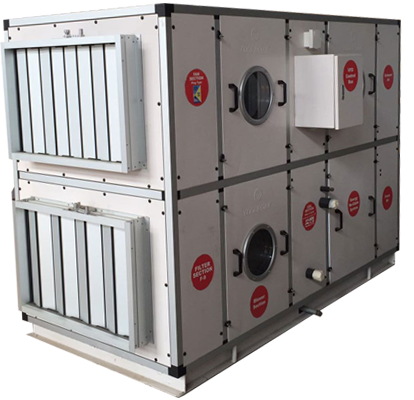 Cool Point can produce high quality, flexible air handling unit which can provide excellent thermal efficiencies and to be airtight. 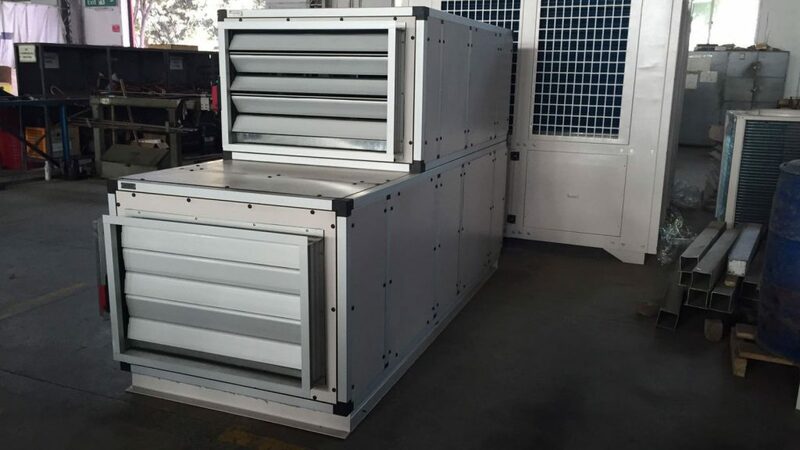 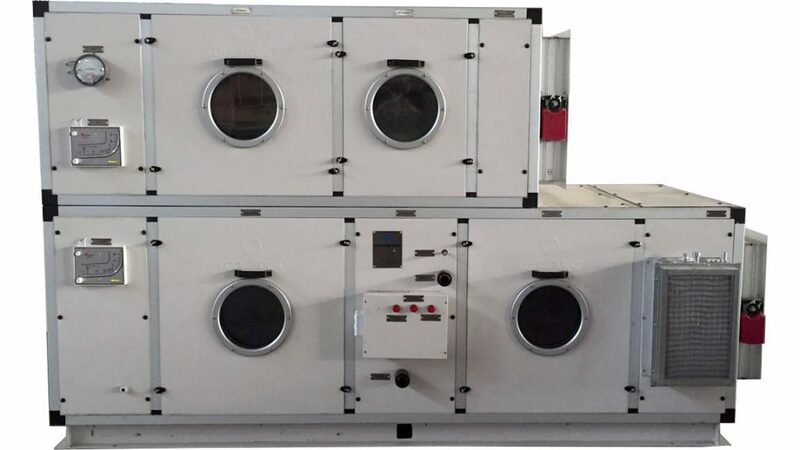 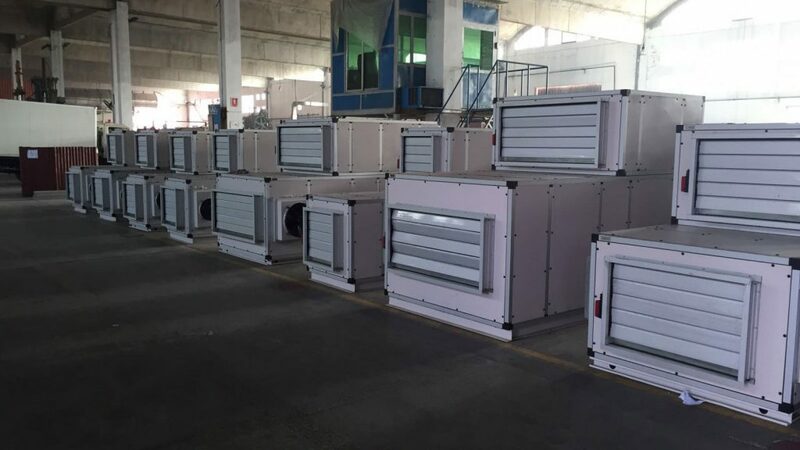 Besides, air handling unit is produced with flexible features to meet the indoor air quality, operating efficiency, sound level and insulation requirement for today’s extensive commercial and demanding markets. 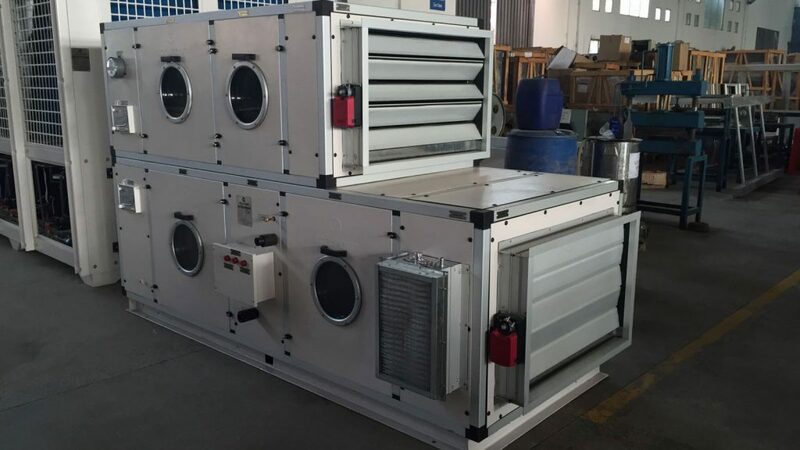 A comfortable environment can enhance human’s life quality. 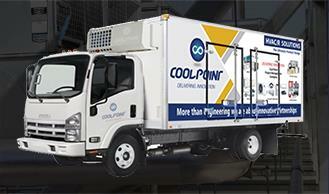 Cool Point Classic Series AHU available is all capacities to delivery from 1000 CFM to 20000 CFM (nominal air ow rate against total static pressure up to 8.0 IWG(2000 Pa). 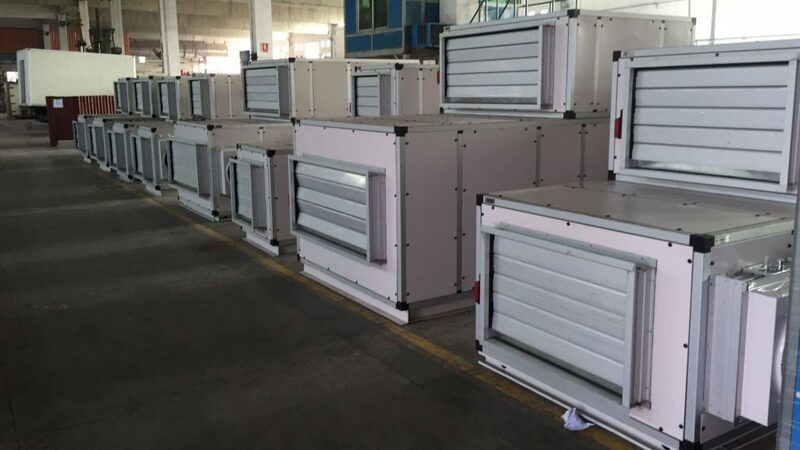 Aluminum Profile Frame CWAHU section casings are constructed of framed modules for maximum rigidity and strength Structure frame is made of aluminum profile, called which has excellent mechanical characteristics. 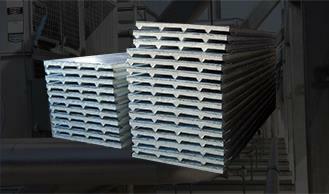 The cross section of this profile is specially designed for this type of applications. 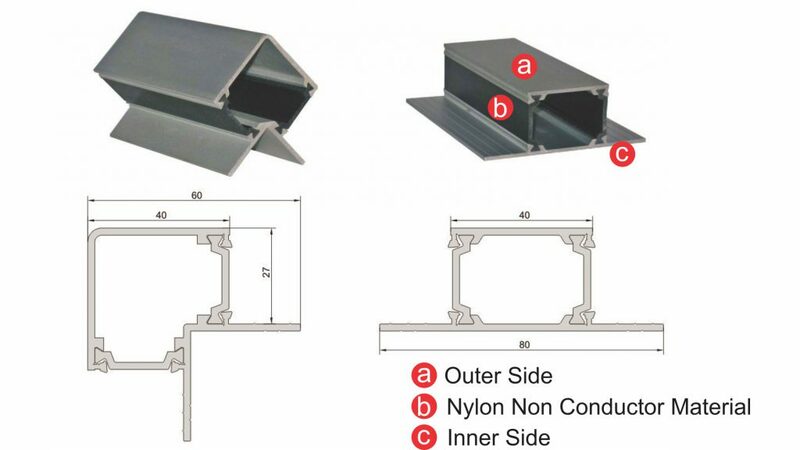 Aluminum profiles are connected by means of special corner pieces.